Just in time for tucking into Christmas stockings, Middle School: The Worst Years of My Life is available on DVD and Blu-ray TODAY! Movies based on books are some of our favs and this movie totally falls into that category. Whether you were able to see it in the theater or if it’s new to you and your kids, you won’t want to miss the home entertainment release! 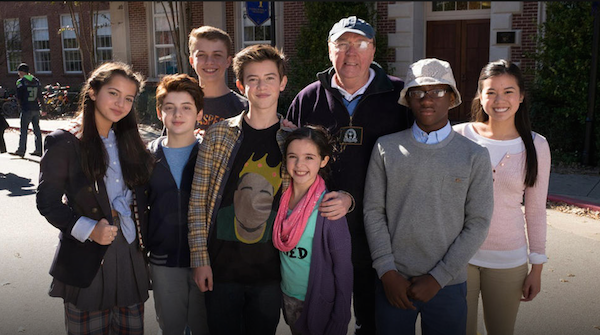 MIDDLE SCHOOL: The Worst Years of My Life chronicles the trials and triumphs of Rafe Khatchadorian, as he uses his wits to battle bullies, hormones and the tyrannical, test-obsessed Principal Dwight. Rafe has an epic imagination…and a slight problem with authority. Both collide when he transfers to an oppressive, rule-crazy middle school. Drowning in do’s and don’ts, Rafe and his scheming best friend Leo hatch a plan to break every rule in the school’s Code of Conduct. It’s Ferris Bueller meets Home Alone as their battle with Principal Dwight explodes into chaos both real and imagined. But Dwight displays his own fiendish creativity, striking back at the rulebreakers. Meanwhile, Rafe struggles to hide his misbehavior from Jeanne, the straight-A, overachieving girl of his dreams, and at home, his mother’s boyfriend — a moochy, jack-of-no-trades named Bear — threatens to become his stepfather. Rafe’s revolution leaps from the page to the screen in this ambitious live-action/animated comedy based on the New York Times bestseller “Middle School: The Worst Years of My Life” by legendary novelist James Patterson. 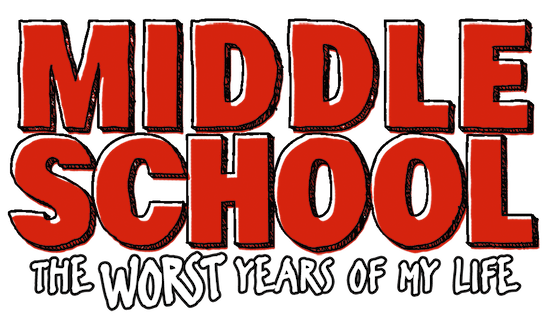 The Middle School: The Worst Years of My Life home entertainment release special features include four behind-the-scenes featurettes, a hilarious gag reel plus four deleted scenes, including one hilarious animated sequence. 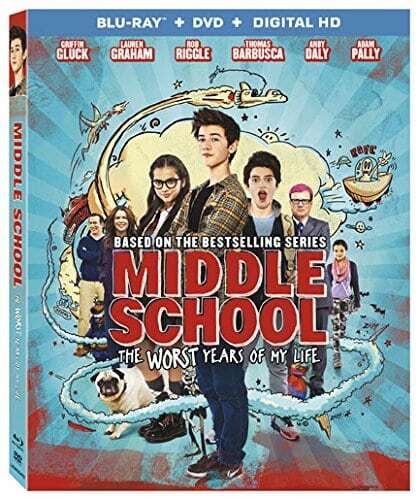 Middle School: The Worst Years of My Life will be available on Blu-ray and DVD for the suggested retail price of $39.99 and $29.95, respectively. 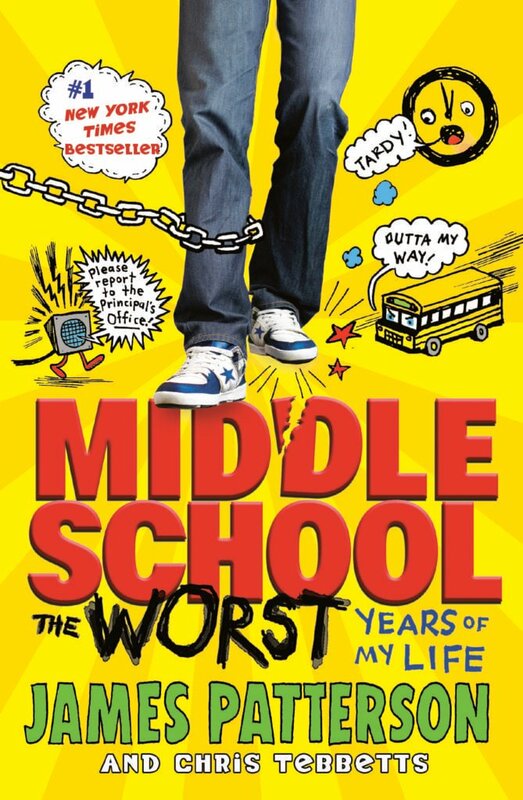 Reader Giveaway: One lucky Jinxy Kids reader will win a Middle School: The Worst Years of My Life Blu-ray. To enter, just complete the entry form below by 11:59pm ET on 10/18/16. Good luck!! I am looking forward to seeing this movie cause it looks really funny and kinda reminds me of diary of a wimpy kid and I loved those movies. I am looking forward to watching this movie with my grandson. Looks like a cute movie about middle school. I’m looking forward to watching this movie with my nephew. He saw it in theater and he really enjoyed it. Thanks for the giveaway. i haven’t seen it yet, but i am looking forward to seeing it because it looks super cute. I’m looking forward to watching with my kids who read the books. I haven’t seen it but I know my nephew will love it. I haven’t seen this movie, but I think my son would love it. It is sometimes difficult to find movies for him. I think this would be great. I have not seen this and am looking forward to seeing it because it looks like fun! I havent seen it. I’m looking forward to seeing it because it looks like a fun movie to watch with my family. I haven’t seen this movie yet. It looks like a cute movie that both my son and I would really enjoy — hard to find movies that we both like. I haven;t seen it yet! Havent seen it yet, my sons are looking forward to seeing it. My son read the book and wanted to see this movie, but we didn’t get to it in time! I’d love to watch this with him. I have not seen it, but would love too! Looks really great! I haven’t seen this yet but I really want to. My daughter and nephew are in junior high so it’s makes me curious. I never saw the movie but would love too since my son is currently in middle school. I have not seen it but would love to watch it with my girls. They have been wanting to see it. Thank you! Im looking forward to seeing these movie because i’ve seen previews and it looks funny! I haven’t seen the movie but I bet it would be a good one to take teens to watch with. We love going to the movies but don’t go as it is too expensive to take all the kids. My daughter is going into middle school in a year and a half. I think she would enjoy this. I haven’t seen this movie yet. I think I would enjoy watching this with my niece. I haven’t seen it yet. Looks like fun! I am looking forward to seeing this with me two middle school kids. It looks funny! I did see it and thought it was awesome. I have not seen this yet but my son wants to see this with me. I’m looking forward to seeing this because my son recently read the book. We have not seen this but we really want to. My daughter just got into reading these books and we can not get her face out of them. She, in addition started middle school this year. I know she really really wants to see this. I haven’t seen it but it would be fun to see this with my middle-school aged grandson. We haven’t seen it yet. I’d like to see it with my teens. I haven’t seen it yet but looks good. I haven’t seen it, but my grandson just started middle school so we’re looking forward to watching it. I haven’t seen this but would love to watch it with my middle schooler. I saw the trailer for this and thought it looked good. Haven’t seen it yet. I have not seen it but I think the kids will enjoy it. I have not seen it but I think it would be fun to watch with my daughter! My grandson loves the Middle School books and movies! My son loves the books and he has been talking about wanting to see the movie now! My family and I are looking forward to watching Middle School because my middle school son will probably be able to relate to the story. I have not seen the movie yet. I am looking forward to watching it as I know my son will be able to relate to so much of it. No, I did not see it, but it sounds cute.